The holidays bring a lot of disruptions in normal schedules and routines for many people, so stick to a normal sleep schedule as best you can. Sure, there will be evenings and mornings where parties, family gatherings, or travel will disrupt your day, but getting a good night’s sleep as often as possible will help with physical and mental health. Follow healthy sleep habits like cutting out caffeine and alcohol during the afternoon whenever possible and turning off screens emitting blue lights an hour before bed. If you have kids, it’s worth keeping them on their schedule as much as possible, too. It’s so easy to stop exercise routines once the cold weather hits, but keeping your body moving will help with how you are physically and mentally feeling. Many people struggle with feelings of depression once it starts getting dark and cold outside, so an easy way to get in some exercise is to get in a short walk during a daytime work break when it’s light outside. Consider partnering up with a friend to help keep yourself accountable if you have the desire to hit up the gym but struggle with putting it into action! 3. Have a plan for holiday meals. Many people struggle with how they approach eating during holidays that are hyper-focused on food and abundance. If you have a history of disordered eating, consider making an appointment with a therapist to prepare for any emotions or unwanted behaviors triggered by holiday meals. Together, you can talk through emotional regulation strategies. 4. Budget for travel and gifts. Many people struggle with their finances leading up to the holiday season. In addition to expensive transportation expenses for those traveling to visit family and friends, gift-giving is an expectation in many families. Take a look at your financial situation and determine how much money you have available for travel and gifts. Next, write down those loved ones you’d like to give a gift to and allocate your holiday money accordingly. A therapist can be a great resource in talking through anxiety about money and processing the thoughts, emotions, and behaviors that finances around the holidays brings up. 5. Establish boundaries with family and friends. 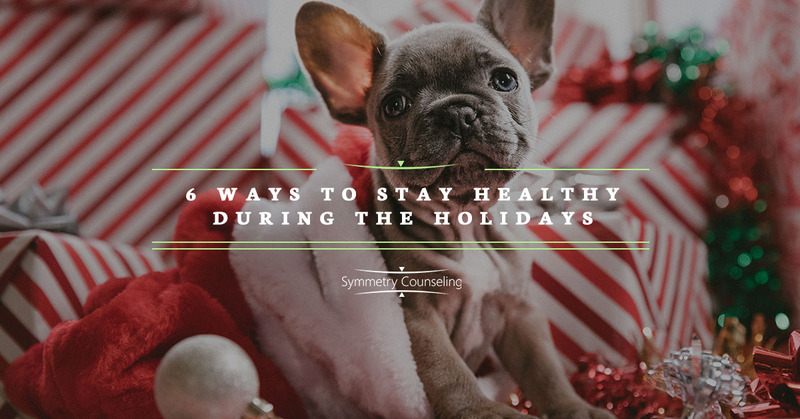 It can be hard to determine how much of your time during the holiday season can and should be spent with family and friends, especially if you have a partner and/or children. Think about how much time you can afford, both financially and mentally, to spend with all the loved ones you’d like to visit, and if you have multiple branches of family to visit, talk to your partner about how you’d like to approach planning. It also is worth thinking about what topics of conversation produce conflict with loved ones and creating a plan of action best for your mental health, whether it be engaging in the topic or walking away from it. Finally, consider seeing a therapist to process any grief that comes with lost loved ones at this time of the year. 6. Establish boundaries with work. American professionals have gained a reputation for not taking vacation time when it is given to them or not enjoying it when they have taken it, but this doesn’t have to be you. If you’re going to take vacation, understand what your options are for taking off time and what your employer’s expectations are before, during, and after your vacation. If you are able to check out mentally from your work, do so! It’s important to take a break every now and then, and doing so makes you a healthier, happier, more productive employee. Therapists are a great resource for those struggling to “turn it off” when vacation time rolls around.